A magical day at Sunset Beach as Friday saw immaculate conditions set the stage for an epic first day of competition for the Sunset Beach Pro, with both Trials and Round 1 completed. Day one was a good day for the 2016 tour kick off. 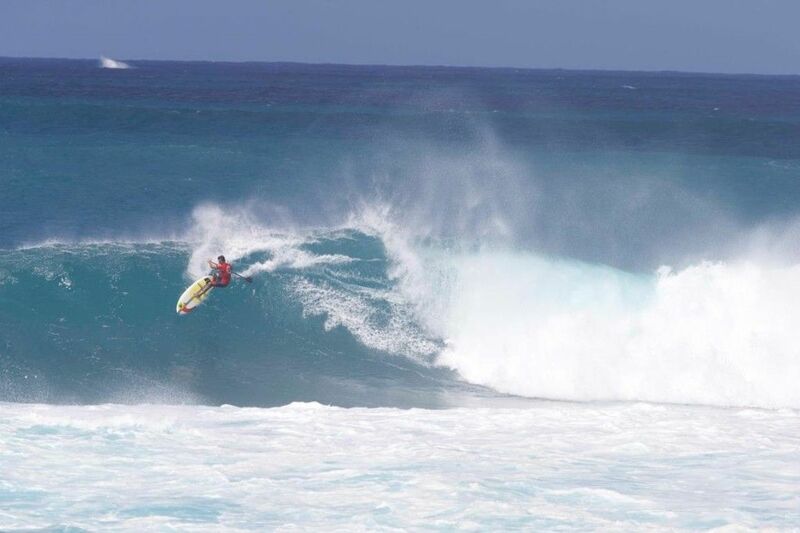 Kai Lenny continues to flair this year in any size, any conditions, any board. 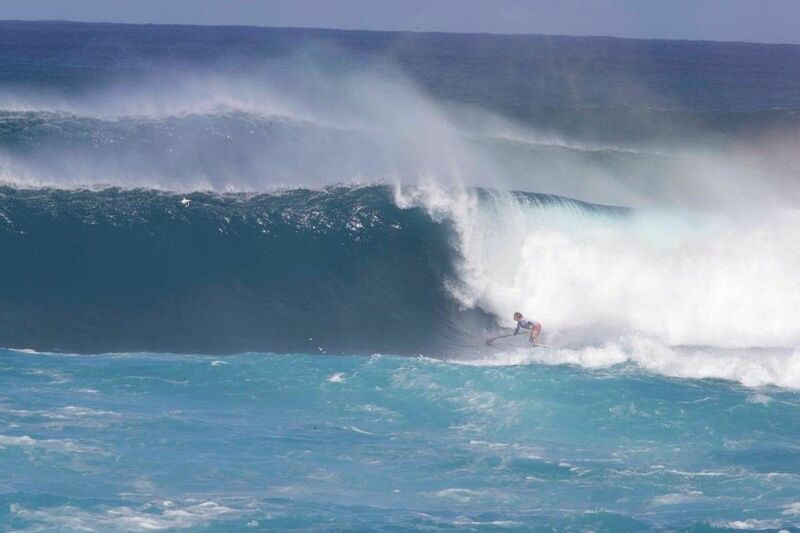 Kai Lenny (Naish) has had a memorable winter so far this year, with more epic days of big wave surfing at the infamous Peahi than you can count on both hands. However, returning to Sunset is always an exciting prospect for the young Champion, as he once again gears up for a new season, as one of the Contenders rather than the reigning Champion, and looking more comfortable than ever. Kai’s heat was one of the most exciting of the day, as he and James Casey (JP Australia) from Australia battled it out for pole position, with both athletes posting amongst the highest scores of the day to secure their spots in Round 3. We are looking forward to watching the remainder of the competition unfold to see if Kai can secure an unprecendented 5th Sunset Beach Pro Title, but also looking ahead at the Season, what would be his 5th World Title as well. As expected, the 2015 World Champion Caio Vaz (Art in Surf) came out of the gates swinging in Heat one of the Main event, posting the single highest wave and heat score of the event so far, with some impressive surfing. From a cleanly executed barrel in the Sunset bowl, to precision turns, Caio already has his sights set on defending his World Title and with this kind of form, he is on the right track. Mo’s unique full rail power surfing matched the immaculate Sunset Beach walls, as he not only comfortably secured his place in Round 3, but posted one of the highest heat score totals of the day.Mo Freitas (Focus SUP) has been one of the major rising stars of SUP, continuing to push the boundaries of performance surfing, highlighted by his performance at the Da Hui Shootout Invitational in January, and now, by another exemplary and polished performance at Sunset. There is no doubt that Mo will be one to watch out for over the coming days and indeed season, as we look forward to watching it all unfold here on the 2016 Stand Up World Tour. James looked completely comfortable out at Sunset Beach, as his unique brand of power surfing suited the pumping surf on offer perfectly and he was awarded accordingly. He has been on the radar as someone to watch out for for some time, with stand out performances here at Sunset and in Morocco at the end of 2014, but there is no doubt, that James is looking more refined and ready than ever to make a real assault on the World Championship season here in 2016. The Da Hui Trials was not to disappoint yesterday, as full size Sunset delivered a hefty challenge to the attending competitors, a Challenge that they all stepped up to admirably. With a series of action packed heats, there were several stand outs, but in particular a new face by the name of Jesse Brown was here to be noticed, as he made it through to the Main event, and then won his first round heat to advance directly through to Round 3. Another stand out, posting the highest qualifying score en route to the Main event was the young Jeffrey Spencer (Quatro), who navigated the tricky Sunset line up immaculately to earn his well deserved place in the Main event. At just 16 years old, there is no doubt that Jeffrey is a face to watch out for here on the Stand Up World Tour, and with an equally talented brother FInn right behind him, the future is bright for the Spencer boys. We have mentioned just a few of the stand out performances from yesterday’s spectacular day of action, but there were so many more notable performances such as Bernd Roediger (Naish), Sean Poynter (Starboard), Nainoa David (Naish) from Tahiti and the return to Sunset for Dave Muir (IOPS) and Peyo Lizarazu and Robin Johnston. We should also mention an exceptional Round 1 performance from the Trialist Rory Chapman, posting an excellent range score in the epic Sunset Beach conditions, but also, the ever impressive Sunset specialist, Kala Alexander, here pulling into a beautiful Sunset barrel.